Lisa M. Lee has joined Virginia Tech’s Office of the Vice President for Research and Innovation to lead a division focused on scholarly integrity and research compliance. 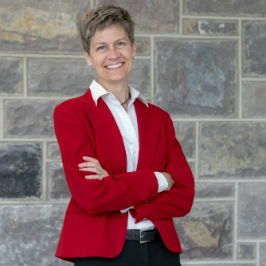 Lee, an expert in bioethics and human research who formerly worked for President Barack Obama’s administration, came to Virginia Tech in August as an associate vice president for research and innovation. She will direct the office’s new Division of Scholarly Integrity and Research Compliance and serve as a representative on the university-wide Compliance Advisory Committee. The division will consolidate many of the ethics, integrity, regulatory, and compliance functions related to research and innovation, streamlining operations and providing a clearinghouse for Virginia Tech’s researchers. Consistent with best practices across major research universities, this alignment will help provide a competitive and agile environment for continued growth of Virginia Tech’s research enterprise. These changes demonstrate Virginia Tech’s deep commitment to the highest ethical standards in scholarship and to the proactive advancement of basic, translational, and transformative scientific advancement that improves the human condition and the world. The division’s mission is to facilitate scholarly excellence by ensuring research regulatory compliance and supporting ethical decision making. It will house the administrative teams that support Virginia Tech’s Institutional Review Board, Institutional Animal Care and Use Committee, Institutional Biosafety Committee, Conflict of Interest Program, and Responsible Conduct of Research Program. Lee is uniquely qualified to lead this division. She most recently was chief of bioethics and human subjects research at Walter Reed Army Institute of Research, the largest biomedical research facility administered by the U.S. Department of Defense. She also spent 14 years at the Centers for Disease Control and Prevention, where she held positions as epidemiologist, acting chief of the HIV Incidence and Case Surveillance Branch, assistant science officer, and chief science officer. She oversaw scientific regulatory services, including institutional review boards and animal care and use. “Lee will grow and diversify our human research protection program, a need driven by the university’s rapidly expanding health science and technology research portfolio, much of which occurs at the Virginia Tech Carilion Research Institute in Roanoke,” Mayer said. With this new program, Virginia Tech will build toward accreditation from the Association for the Accreditation of Human Research Protection Programs. The independent, nonprofit group promotes high-quality, ethically sound research by accrediting human research programs worldwide, including more than 60 percent of U.S. research-intensive universities and 65 percent of U.S. medical schools. “Accreditation is a multiyear process, but it is worth the effort to build confidence in the human research protection program, both within the Virginia Tech research community and outside our walls,” said Lee. Lee also will bring innovative new approaches to ethics research and education to Virginia Tech. As part of her role, she will create a campus-wide ethics consultation network for faculty, staff, and students. Through the network, researchers will be able to ask ethics-related questions and receive advice and recommendations across the entire research pipeline — from the laboratory to implementation of solutions. Before her position at Walter Reed, Lee was executive director of Obama’s Presidential Commission for the Study of Bioethical Issues. “Participating in this kind of network also helps prepare students for a career in research by thinking through real ethical issues,” said Mayer. Lee holds a bachelor’s degree from the University of Wisconsin-Whitewater, master’s degrees from the University of Colorado Denver and Alden March Bioethics Institute at Albany Medical College, and a doctorate from Johns Hopkins University. She arrived in Blacksburg with her spouse, Frances McCarty, who serves on the faculty in the Department of Statistics.